Dr. Lintner is a board-certified and fellowship-trained orthopedic surgeon who specializes in sports related knee and shoulder injuries as well as elbow reconstruction. 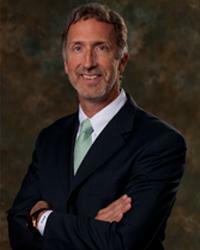 He currently serves as team medical director for the Houston Astros, assistant team orthopedist for the Houston Texans, and team physician for Lee College and Houston Independent School District. Additionally, Dr. Lintner is a former president of Major League Baseball's Team Physician Association.